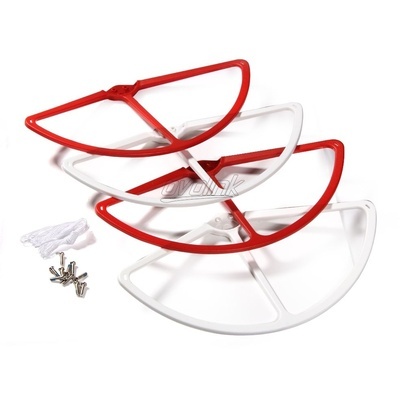 Product #16069 | SKU DJI Prop guard ph2 RED/WHT | 0.0 (no ratings yet) Thanks for your rating! This set of Phantom 2 Vision Prop Guards includes four prop guards for the four blades of the Phantom 2 Vision Quadcopter. They're designed to protect your propellers from collision. They will also help you fly with confidence, no matter if you are a beginner or an expert quadcopter pilot.